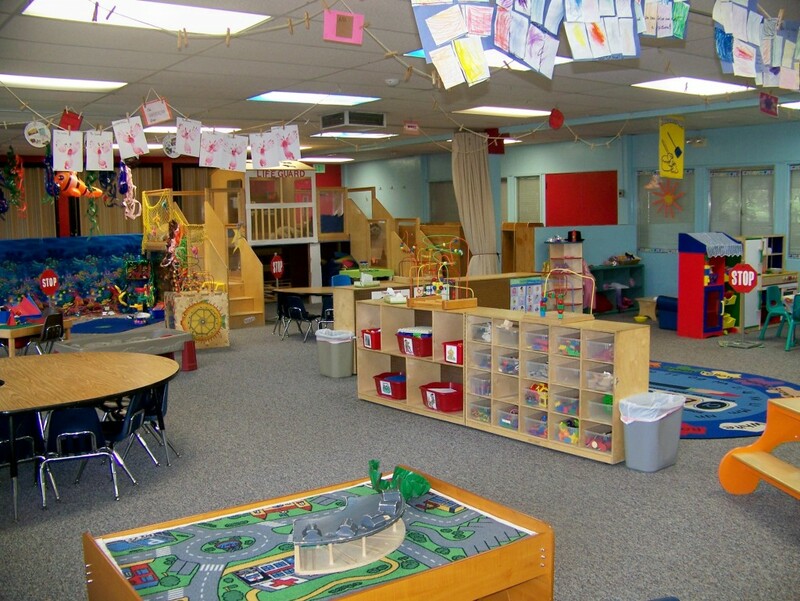 Noah’s Ark Child Center is an open-classroom environment consisting of three large areas. 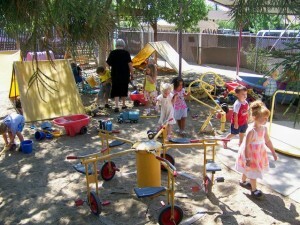 Each area, including the large outdoor play area, is set up to accommodate the children and various activities. The children and their teachers rotate through these three areas morning and afternoon on a schedule. 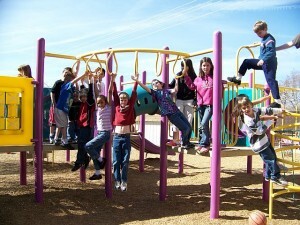 This gives the children the opportunity to play in all of the areas without being crowded. The Ark, is the main area, and it is set up with 7 “center” areas. The centers change on a monthly basis as the curriculum changes. The centers are set up to reflect and reinforce the curriculum elements. The children rotate through these areas as they choose and as there is room. Thurman Hall is the (church social hall) but it is used exclusively by the Ark during the week. The table area is used for the twice daily snack and hot lunch program. It is also set up for the individual group time with the child, their group and their teacher. The rest of the room is open so that it can be used for large muscle activities, movement, gathering or floor time activities. This is also where the children nap and rest and the back of Thurman Hall is used to house the school-age children upon their return from elementary school at 3:00 P.M. When the children are scheduled in a certain area or in a certain room, the teacher is free to use any space in the room to the benefit of his/her lesson plans. This flexibility allows the teacher to keep the lessons fresh and interesting for the children by varying the place and the space.